If you know me then you'll likely know that one of my favourite activities is to eat and to each as much as possible because let's face it, there isn't much more enjoyable in life than food. After dinner, brunch is probably my favourite meal of that day which actually makes the fact that I don't tend to go out for it as often as I should and I'm determined to change this. 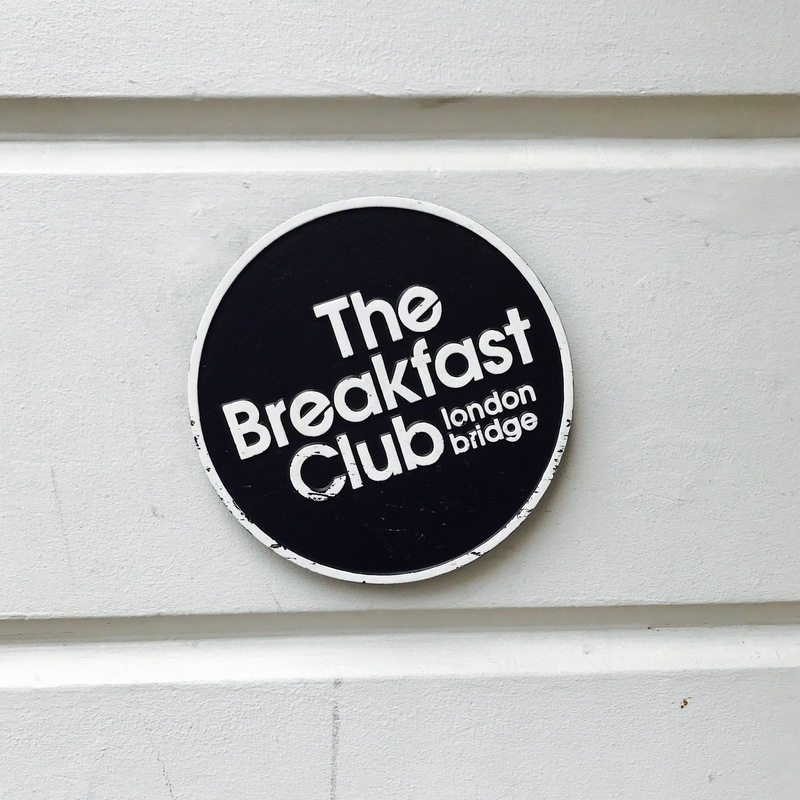 I started my new goal of trying London brunch spots recently with somewhere that had been on my to try list for some time now - The Breakfast Club. I had heard the stories of the long lines outside just to get a table which is probably part of the reason I've been put off for a while now but as it was my sisters birthday and she was also really wanting to try it too we decided to just accept it and hope we weren't waiting too long, and just a little side not that the photos of the food won't be amazing because it's pretty dark in there. We arrived and thankfully there was a shorter queue than I was expecting (obviously the photo above was taken on a different day, midweek=no queue at all it seems), especially for a Saturday early afternoon and we probably only waited around 20 minutes before we were seated and boy was it worth it. Despite studying the menu beforehand, does anyone else do this? I couldn't decide what to have, I'd previously thought I'd go for the chicken and waffles but then I fancied the pancakes and then a traditional English breakfast, to be honest I just wanted everything on the menu haha. In the end I did go for the breakfast while my sister had the chicken & waffles and mum the pancakes so it was a win, win situation for me as I got to try everything I really wanted, everything tasted amazing but I think my sister was the winner here as hers was so good. I'm not a huge chocolate fan and sweet things make me feel sick quite quickly so there's no way I would have got through the pancakes but the few mouthfuls I had were so tasty and the pancakes cooked just right. Being me, I went for the typical British thing and had a cup of tea to drink but my sister opted for the hot chocolate which apparently tasted really good and it definitely looked it, my brother in law ordered a chocolate milkshake, now at over £5 and for quite a small glass in milkshake terms I thought it was a little overpriced but he said it's the best milkshake he'd had, so maybe it's worth it. The Breakfast Club definitely gets a thumbs up from me and somewhere I'll be heading back to again, I need to have a full plate of the chicken & waffles, so if you've been thinking about trying it or looking for somewhere for breakfast or brunch in London then I'd certainly recommend it. Just a little added comment, they do add a 12.5% service charge automatically to your bill which is something that bugs me, not because I'm tight but because I like to decide for myself how much tip I feel the server deserves and once it's added I can't be bothered with the messing around or being 'that person' who asks to have it removed but no big deal just something that I personally like to be aware of and thought you would too if you're heading there. 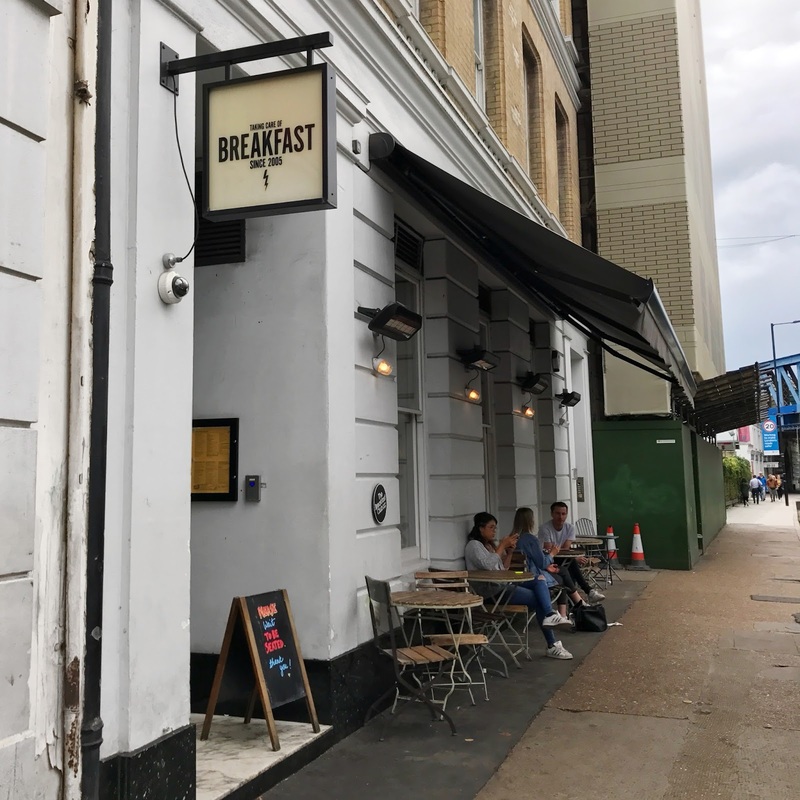 Now to find the next brunch location to try out so if you have any recommendations then please let me know.